KoopaTV: KoopaTV Live Reacts: Nintendo Treehouse Live | E3 2018: Killer Queen Black, and BYE! 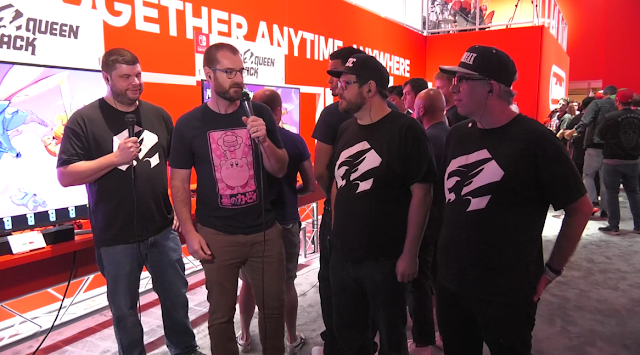 KoopaTV Live Reacts: Nintendo Treehouse Live | E3 2018: Killer Queen Black, and BYE! By LUDWIG VON KOOPA - The FINAL LOG. 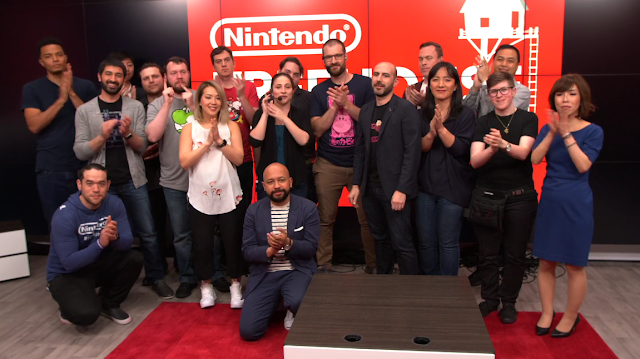 We obviously didn't know it based on how we reacted in the preceding log, and the log you can read in this article, but Nintendo Treehouse Live | E3 2018 has ended. 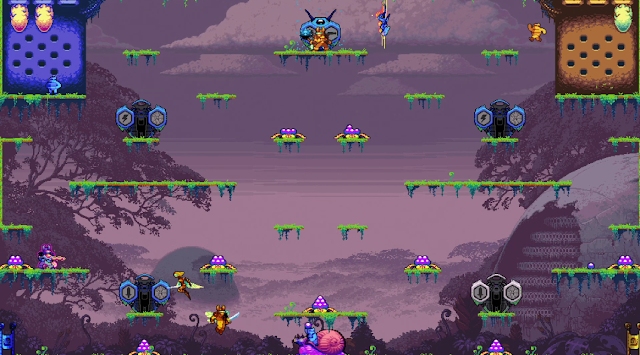 The very last game shown is Killer Queen Black — outside of the normal Treehouse Live area — and then just like that, they're saying bye. Well, guess Rawk and I will say bye, too. ...The other staffers aren't around (Wendy), are at E3 instead of Discord (Kamek), or are probably dead (RIP Vortex). In any case, I'll just drop off our E3 Weeks 2018 Schedule SINCE YOU'RE GOING TO NEED IT. [4:30 PM] Ludwig Von Koopa: Welcome back to Nintendo Treehouse Live! [4:30 PM] Ludwig Von Koopa: ...Everyone's standing up. The one and only Nintendo Treehouse Live set change of E3 2018. [4:30 PM] Ludwig Von Koopa: It's Killer Queen Black. [4:30 PM] Ludwig Von Koopa: Nick and Josh from Bumblebear Games, and Matt from Liquidbit. [4:31 PM] Ludwig Von Koopa: Now they're name-dropping even more people and I think Morgan got Liquidbit guy's name wrong. [4:31 PM] RawkHawk2010: I can already tell I don't wanna watch 30 minutes of this. [4:31 PM] Ludwig Von Koopa: This reminds me of that game that @Kamek wanted us to buy from that Humble Bundle. [4:32 PM] Ludwig Von Koopa: The Hooked on Multiplayer 2018 bundle. [4:32 PM] Ludwig Von Koopa: Stick Fight and/or Duck Game. [4:33 PM] Ludwig Von Koopa: "Military" "Economic" and "Snail" win conditions. [4:34 PM] RawkHawk2010: I wish Treehouse ate lunch in front of us and used that as an opportunity to demonstrate Miyamoto's pro-eating-while-playing policy. It's hard to follow what's going on at first, but the holes in the top left hive all need to be filled to win Economic. The sacks hanging off there are the number of lives your Queen has. If the opponent kills them all off, they win Military. See the bottom of the screen for the Snail. [4:35 PM] Ludwig Von Koopa: There's one snail. [4:35 PM] Ludwig Von Koopa: So I guess you gotta get a worker bee to ride it to your place and your opponent better stop you. [4:36 PM] Ludwig Von Koopa: And it's intentionally there so your opponent might forget about it. [4:36 PM] Ludwig Von Koopa: Can't have tunnel vision. [4:36 PM] Ludwig Von Koopa: Well, I understand the game's philosophy, at least. "Everything is always in play." So you can make a comeback by pursuing another victory condition. [4:37 PM] RawkHawk2010: This reminds me of one of the Yooka-Laylee Rextro Arcade games. [4:37 PM] RawkHawk2010: Where you play as a Corplet Drone. [4:40 PM] Ludwig Von Koopa: Though I guess I got the gist of Killer Queen Black. [4:41 PM] Ludwig Von Koopa: Yeah, this Rextro Arcade game is quite a bit different. [4:43 PM] Ludwig Von Koopa: They made arcade machines out of this. [4:43 PM] Ludwig Von Koopa: Though arcade was built to be an arcade game, and Black as a console game. [4:46 PM] Ludwig Von Koopa: Killer Queen Black is online too. [4:51 PM] RawkHawk2010: when he said "find my footage" did he mean "find my footing"? [4:51 PM] Ludwig Von Koopa: I dunno. [4:53 PM] Ludwig Von Koopa: The game is out this winter. [4:54 PM] Ludwig Von Koopa: "Stay tuned we'll be right back." [4:54 PM] Ludwig Von Koopa: Treehouse ends in half an hour if last year's schedule applies. [4:54 PM] Ludwig Von Koopa: LAST CHANCE FOR THEM TO SHOW ACE ATTORNEY. [4:55 PM] Ludwig Von Koopa: 'cause Capcom's stream is doing Resident Evil 2. [4:56 PM] Ludwig Von Koopa: They're doing a Street Fighter V tournament. [4:56 PM] Ludwig Von Koopa: "The New Day vs. The Elite!" [4:56 PM] Ludwig Von Koopa: Which is obviously not Ace Attorney. [4:57 PM] RawkHawk2010: Is Audrey there? [4:57 PM] Ludwig Von Koopa: Nope. Oh... already? Well... bye, Nintendo Treehouse! It was great spending E3 2018 with you all. [4:57 PM] Ludwig Von Koopa: It's over. [4:58 PM] Ludwig Von Koopa: Well. [4:58 PM] RawkHawk2010: That was a really bad way to end it. That was a bad way to end KoopaTV's 2018 coverage, too. This site will take all of what Nintendo Treehouse Live had to offer when making the infamous KoopaTV E3 conferences tier list. Look forward to that for Friday's article! (May not actually come out on Friday.) It'll be actual writing, instead of live reactions! Here is the reaction log before this one... the penultimate log. Here is the E3 conferences tier list, ending E3 2018. You guys really are dedicated. I could barely watch the stream yesterday without switching back and forth between it and other tabs. I missed today's Treehouse Live because I had to work all day, but it does not seem like I missed too much. Looking forward to the E3 wrap-up article soon. Yeah, our dedication probably isn't a good idea. Sounds like it could be a pretty amusing diversion sort of game, not something to play seriously but it could be fun. Wonder what the price tag will be? I dunno. Probably around $15.